When I first got into the world of digital recording the DAW I was using was called Cakewalk. I can't remember the version but I think it was either 1 or 2. At that time I really didn't know what I was doing. I only had two things that mattered to me at that time. The first was just recording my guitar riffs so that I wouldn't forget them. And then that eventually grew into doing demos for songs for the band I was in. But that was pretty much it. When I decided to get serious about my music career I decided to upgrade my system. I ended up going with Pro Tools, version 7.3 at the time. Then there were some huge improvements with the MIDI aspects made in version 8 and I eventually upgraded to Pro Tools 9 and was happy with it, for the most part. But as I began to grow and evolve as a composer and move towards doing more virtual instrument type compositions, I began to run into the limitations of Pro Tools being a 32-bit application. I was hoping very much that when Pro Tools 10 finally got released that it would be a 64-bit application. Instead, I found that it was still 32-bit, they introduced a new plug-in format, and my hardware interface was not going to be supported beyond PT 10, and the upgrade cost was $300, for an application that didn't seem to have, in my opinion, $300 worth of improvements over the software that they had just released less than a year before in PT 9. I was disappointed about that and decided to start looking around at other DAW software. I use a PC and had no desire to switch to a Mac so that took out a few choices right away. I had a copy of Reaper 4 that I had tried for awhile but I just didn't like the GUI of it so that wasn't going to be the one for me. I reached out to a couple of people who were also frustrated with PT and had moved to Cubase. I ended up downloading the trial version of Cubase 6 and by the end of the weekend I was up and running and recording at nearly the speed/ease of use that I had with PT 9, mostly because Cubase lets you customize your shortcut keys so I spent a couple of hours trying to get it to emulate PT as close as possible. That made it really easy to hit the ground running. One of the big appeals to me about Cubase 6 was that it was 64-bit. I created a test session in which I added 20 instances of Kontakt 4 with a violin ensemble patch, 15 instances of PLAY with a cello ensemble patch, 3 instances of Stylus RMX and 3 instances of Omnisphere each with one instrument loaded, and then an instance of Ivory with a grand piano loaded. I imported one midi track to all of the various instruments and then record enabled the piano track while using a buffer setting of 128. It played back and recorded flawlessly. I wanted to cry :-) That was just not possible with my Pro Tools setup. Not even close. So in November 2011 I took the plunge and moved over to Cubase. 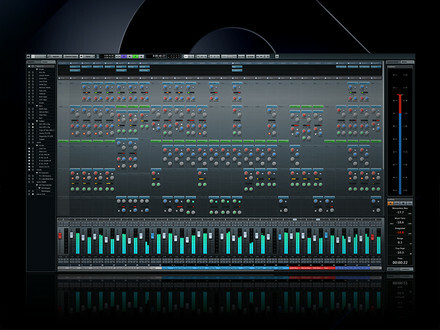 The only real issue I had with Cubase was the mixer. It just wasn't as user-friendly to me as what I had in PT. I eventually got used to it though but I was always longing for it to be more like PT. 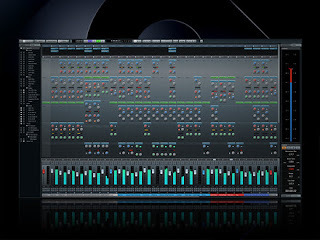 Then late last year Cubase 7 was released with the brand new mixer they dubbed the Mix Console. When I saw the previews I felt like it was going to be the answer I was looking for. So on the day it was released I got my copy. After a painless install I opened up an existing session. I was a bit disappointed to find that this software really didn't seem release-ready. There were some issues with VST performance as well as some audio drop-outs but the biggest disappointment was with the new mixer. Whenever I would try to view the new mixer, I would only be able to see portions of the faders. I wasn't able to see the track labels at all. Needless to say, this made the mixer unusable for me. I was very disappointed. Then last month they released a service patch for it. Unfortunately, that didn't resolve my problems. So I thought I would try the trial version of PT 10 to see if I should have given it a try back in the day. I affirmed one thing and discovered another by doing this. What I affirmed was that even with the new extended disk cache feature in PT I still ran into the 32-bit limits when using a lot of VI tracks. And what I learned was that after using Cubase for over a year now, I actually PREFERRED it to Pro Tools now. Mostly because of how much work I do with MIDI. Cubase is just so much further ahead of PT in that department. Interesting to hear your experience. I started on Vision DSP a lonnnnggg time ago for similar reasons to you (but substitute piano for guitar in there). I used a few versions of that (this was on Mac) and then eventually went to Logic Audio and then followed that to Logic Pro when Apple bought them and have been using that for the last... oh... 8 years? I also got PT 9 (or is it 8...) when it was basically "free" when you bought a low-end USB interface. Just because everyone I know says that you'll "need to deliver in PT format". Naturally, I have yet to see that requirement in the "real world". Of course, I may not have enough gigs (or the right gigs) to justify that! I was also not enamored with its MIDI support and since I have been doing VI (and big MIDI rig) compositions for years, it hit me very quickly on its limitations. I do keep wondering about Cuebase and Digital Performer, but very likely if I made the switch over I would find there are DIFFERENT limitations.